"“Great Sunset/Sunrise Views Over the Lake” We stayed one night in September, after driving from the beautiful Pictured Rocks and the Tahquamenon Falls State Park areas. Wonderful fall folliage along the lake! The hotel is very nice, with clean, comfortable rooms and a nice breakfast. WiFi worked well too." "“Second Visit to an Outstanding Hotel” We first visited this hotel in 2010 and have returned in 2014. The hotel continues to offer outstanding views of Lake Superior, excellent rooms with comfortable beds and great service. Sunrise in October from our window was just beautiful. The breakfast was very good and the staff are very helpful." "I can't say enough fantastic things about not only the Magnuson Grand Lakefront Hotel itself, which is very clean throughout with impeccable rooms, but the entire staff that keeps me coming back time after time, are very friendly and knowledgeable. My compliments to the entire staff. They clearly deserve TripAdvisor's five stars! The Magnuson Grand Lakefront Hotel makes my every visit to Paradise, a heavenly experience." "Do you offer discounts on room rates with a AAA membership? Yes we do! 10% off." "motorcycle trips /events What kind of information would you like on these subjects. If you are wondering if we have biker events in Paradise, we do not but it is definitely something that I would love to look into. But as far as motorcycles trips, we have the most beautiful, scenic roads and destinations you could ask for. We consider our hotel biker friendly as we provide covered parking upon availability, wash station and plenty of cleaning towels. I hope this answered your inquiries." "It will be my first visit to Paradise. Well Welcome! You are going to love it! Let me know if you would like any information of the area!" 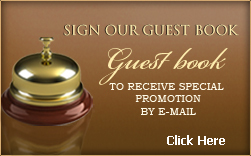 "would like to receive a deal for a 3 night stay next February! for 3 rooms! Sure! When you are ready to book let me know!" "Do you offer senior discounts for 62 and over in Feb.... We offer a 10% discount for AARP members"
"Can't wait to come up there!!! Can't wait for you to get U.P. here!!! If there is anything you need prior to your arrival, please let me know! Have a safe trip U.P.!" "Looking forward to visiting you soon!" "Would enjoy your newsletters as well as any other additional information.,Was not familiar with your lodging and location." "Looking forward to our first trip to the UP!" "My husband and I stayed here years ago for an anniversary trip. And this summer a friend and I will be visiting for a few days. I'm looking forward to being back in the area"
"Friendly service and a beautiful view!" "Looking forward to visiting upper Michigan"
"Me and three friends stayed here one night in August, 2016. The reason for the visit was to run the Tahquamenon trail run. The hotel is very nice. We enjoyed the sunrise over the water and later the pool and hot tub. Highly recommended hotel. We will be back!" "Looking forward to a trip to the U.P. and staying at this hotel"
"We stay here ever time we come to paridise very nice and mostly very clean and friendly." "Enjoyed my stay. Rooms were clean and comfortable and I really enjoyed our room overlooking the lake. Would definitely stay again." "Looking forward to another visit to Magnuson Hotel in Paradise!" "Looking for a night May 12, 2017"
"Coming up in June or July! Have not set a date yet!" "Have stayed here many times and always enjoy the friendly staff and the beautiful views." "Be waiting years to do this trip"